here in new york winter is slowly creeping to an end. this is the time of year where if you squint hard enough you can see spring in the distance, but you can’t quite touch it yet. i am yearning for spring’s bounty of herbs, fruits and veggies. i miss its flowers, green grass, and tree buds. therefore, this recipe comes out of my need for something green, and fragrant, and alive! luckily, our local market supplies fresh herbs from gotham greens, a rooftop greenhouse a few miles away in greenpoint. as soon as frank and i opened the lid to the container our noses were filled with the most delightful smell! the smell of fresh, pungent herbs. at this point in the year there is nothing better. lately my eye has been going to oils infused with herbs. i think i was intrigued when i saw a tarragon oil to garnish a soup. it was much different than a pesto; the oil was a delicate green color without a trace of herb leaves or residue. i left this recipe alone for fear that an oil infused with herbs would prove too difficult to make – especially in my little kitchen. but with frank’s help i was able to pull it off! 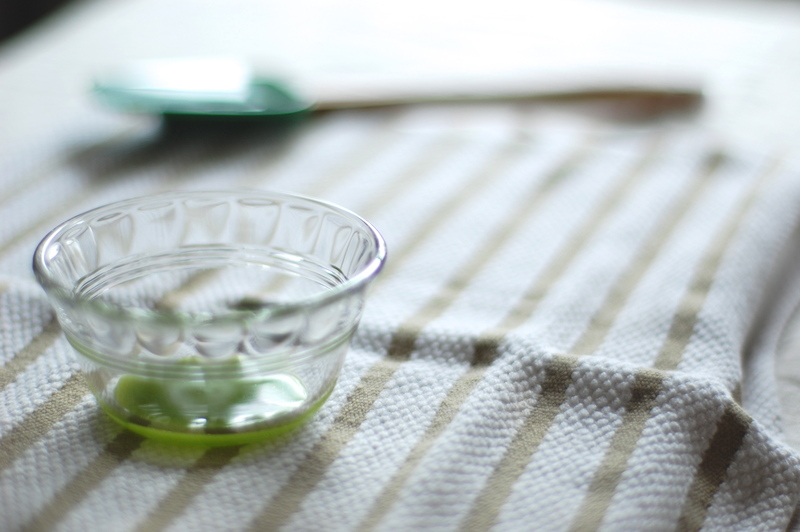 the result is a lightly flavored oil, with a bright green hue. i would say that this oil is good for drizzling on bread, or on fresh mozzarella. we used it to top off our pizzas (a post to come later on…). basil oil, or any herb oil is not difficult to make. all you need is a food processor or blender, and fine mesh sieve or cheesecloth, and lastly, some time and patience. these patties are versatile, and can be made using brown rice, lotus rice, red rice, etc. however, i would stay away from white or sushi rice, i’m not sure they would add any flavor to the dish. 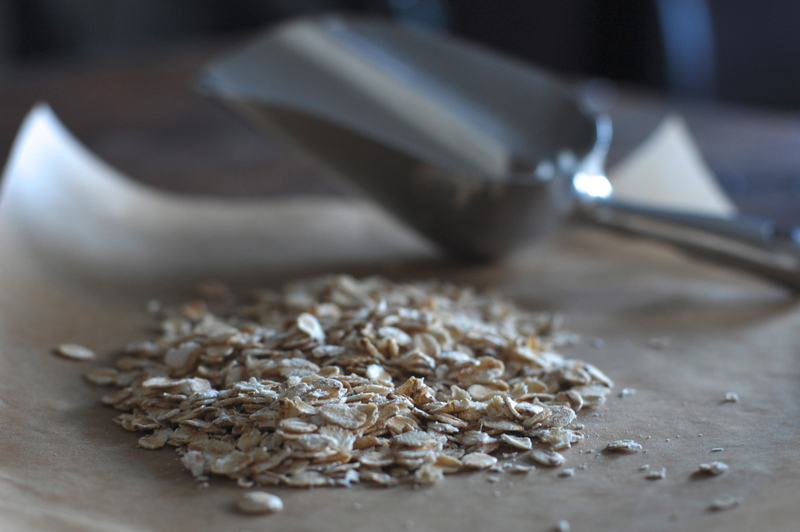 additionally, you do not have to use oat flour. i simply prefer it. you can also substitute the grape seed oil for another “high heat” oil. 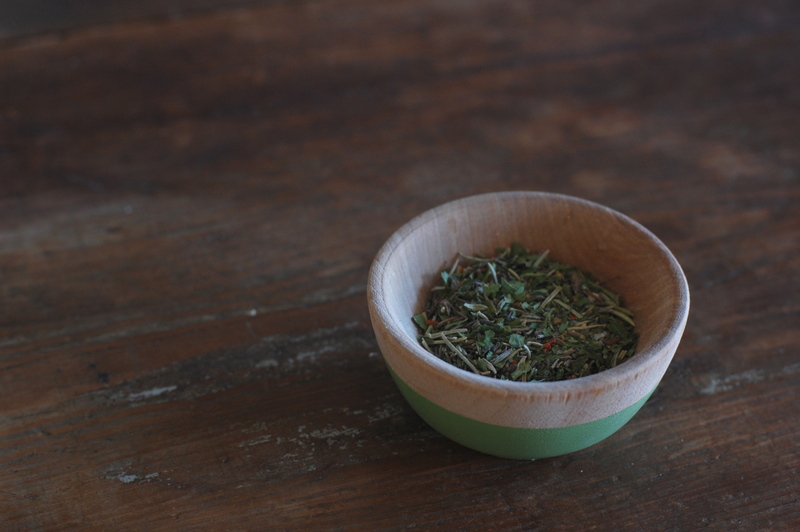 just to note, if you are using dried herbs you can decrease the amount by 1/2. prepare your rice according to the directions that are given on the packaging. 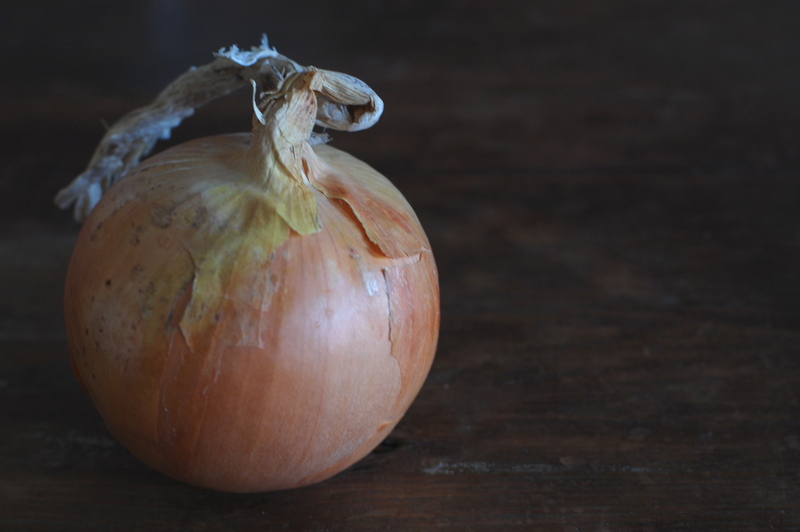 while the rice is cooking – chop the onion, and mince the garlic. heat a small skillet on medium heat. once hot (your skillet is hot when a droplet of water sizzles), cover the bottom of the skillet with grape seed oil. sautè the onion for a couple of minutes, then add the garlic. let it cook stirring every few minutes – about 4-5 minutes. remove from heat and let cool. next, prepare the herb mixture. chop the parsley, thyme, and oregano. once the rice is cooked, let it cool. combine the cooled rice, the eggs, the onion and garlic, and the herb mixture. 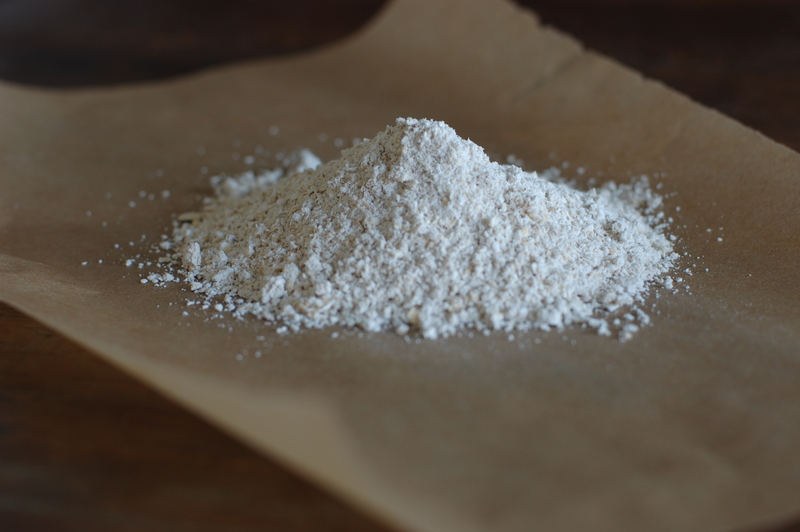 stir in the flour. mix until the ingredients are combined. toss in the crushed red pepper, the salt and pepper (i used about 3 pinches of salt). stir. let the mixture sit for a couple of minutes. in the meantime, heat your pan. (i used an 8-inch cast iron skillet and cooked the patties in batches of 2.) once the skillet is hot, add 1 tablespoon of grape seed oil (more if you are using a larger pan). while the oil is heating, form the patties: using a small ramekin (mine was 2 inches), scoop a portion of the mixture in the bottom – pat it down to make it compact. then, turn it out onto your skillet, and let it cook 4-6 minutes on each side. ready a plate with a paper towel to sop up any unwanted oil. repeat with the remaining mixture.